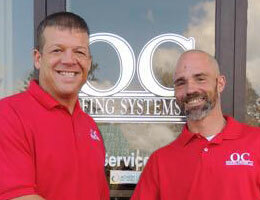 Scott Caylor and Rich Ozburn both have extensive experience that helps them run OC Roofing Systems. Scott spent over 15 years in sales for various construction and roofing companies, while Rich has 11 years of experience in the roofing industry, also in sales and operations. Both have achieved many certifications through roofing manufacturers and in management. Scott and Rich love meeting and helping new customers get the roofing services they deserve. They oversee every aspect of the work OC Roofing Systems does to ensure that everything gets done the way it should. Outside of work, you can find Scott spending time with his family, hunting, playing sports, working out at the gym, or at church. Rich enjoys being with his family and watching his kids' sports teams, yardwork, hunting, and fishing. OC Roofing Systems is the contractor to call if you're looking for professional roofing, siding, and gutter services in Greater Gainesville, Georgia area. Our talented technicians will be there for you when a storm damages your roof. Our number one goal is the safety and satisfaction of our customers, and we won't leave you to deal with anything alone. Our offices are in Hoschton, making us your local roofing choice if you're a homeowner or commercial customer in Greater Gainesville. We believe in following best practices to suit our customers' needs and we have the experience necessary to fix any roofing problem that comes our way, no matter how big or small. If you're looking for help repairing or replacing your roof or completing other home exterior work, you've come to the right place! OC Roofing Systems has affiliations with many local and national organizations and manufacturers who all help us deliver great service to our customers. 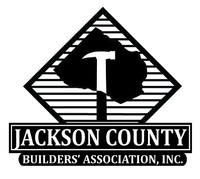 We are HAAG Certified and are a part of the Jackson County Builders Association, as well as several local chambers of commerce. 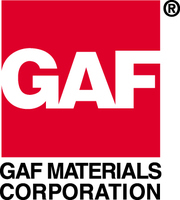 The manufacturers we work with include IKO, Owens Corning, GAF, CertainTeed, Mastic, and James Hardie products. 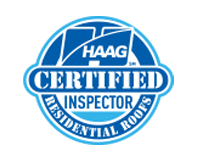 Without the support of these professional organizations, we would not be the trusted roofing contractor we are today. We know that our services are second to none when it comes to restoring your roof!